This website “The Special Gift Company” is owned by Bond Street Print, it is a web trading post for Bond Street Print online range of gifts and cards, a trading name of Bond Street Print & Graphic (hereafter “Company”), a partnership organisation. Our VAT registration number is 241 6880 58. Individuals: These terms of sale apply to all goods and services supplied by Bond Street Print & Graphic via http://www.thespecialgiftcompany.com. All invoices will be issued by Bond Street Print. The website is governed by the following terms and conditions; they do not affect your statutory rights. We have taken care to describe and show items as accurately as possible. Despite this, slight variations in items may occur. We provide you with product information on http://www.thespecialgiftcompany.com. If there is anything which you do not understand, or if you wish to obtain further information, please contact our customer services team on 44 (0) 20 7828 6638. To exercise the right to cancel, you must inform us of your decision to cancel this contract by a clear statement (e.g. 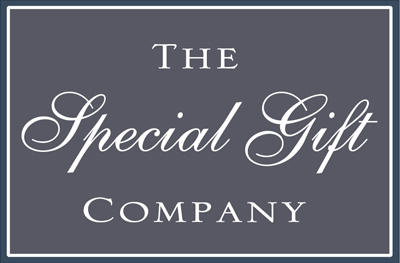 a letter sent by post 30 Moreton Street, London, SW1V 2PE or e-mail to mail@thespecialgiftcompany.com). result of the reimbursement. We may withhold reimbursement until we have received the goods back or you have supplied evidence of having sent back the goods, whichever is the earliest. If the consumer has received goods in connection with the contract you shall send back the goods or hand them over to us or Michele Rogers, 30 Moreton Street, , London, London, SW1V 2PE, without undue delay and in any event not later than 14 days from the day on which you communicate your cancellation from this contract to us. The deadline is met if you send back the goods before the period of 14 days has expired. What User derives from use of Bond Street Print & Graphic products/services/information depends upon User’s commitment to, and effort in, applying the information. Bond Street Print & Graphic does not represent, warrant or guarantee that User will achieve any particular results in business as a result of purchasing and using Bond Street Print & Graphic products/services/information. User acknowledges that the success of User’s business depends on User’s skills, effort and commitment. PLEASE SEE OUR EARNINGS AND TESTIMONIAL DISCLAIMER ELSEWHERE ON THIS WEB SITE. Bond Street Print & Graphic regularly sends out a newsletter and/or other informational emails (collectively referred to as “Newsletters”) to all Users. In these Newsletters, we may inform you about new services, features or products. User may choose to unsubscribe from the Newsletter at any time using the unsubscribe option at the bottom of our emails, or by writing to us at info@bondstreetprint.com or following the unsubscribe link contained in each of the emails. In accordance with UK and International law, any notifications of claimed copyright infringement should be sent to us immediately. Such notification can be sent by email, to info@bondstreetprint.com or by letter to: Bond Street Print, 30 Moreton Street, London, United Kingdom, SW1V 2PE. If you believe in good faith that a notice of copyright infringement has been wrongly filed against you, the DMCA permits you to send Company a counter-notice. Notices and counter-notices must meet the then-current statutory requirements imposed by the DMCA; see http://www.loc.gov/copyright for details. Notices and counter-notices with respect to this website should be sent to : Bond Street Print & Graphic, 30 Moreton Street, London, United Kingdom, SW1V 2PE. To register with http://www.thespecialgiftcompany.com you must be at least 18 years of age. Incident Reporting : Any complaints regarding violations of these Terms by a User should be directed to customer services at info@bondstreetprint.com. Where possible, include details that would assist the Company in investigating and resolving the complaint (i.e. expanded headers and a copy of the offending transmission). Complaints Procedure : We are very proud of our high standards of customer service however, in the event that we fail in meeting these standards, please do not hesitate to contact us at 30 Moreton Street, London, United Kingdom, SW1V 2PE. These Terms and Conditions were last updated, and became effective, on 07/05/2018.